Tell the Ecuadorian government that the most Biodiverse place on Earth is not for sale! 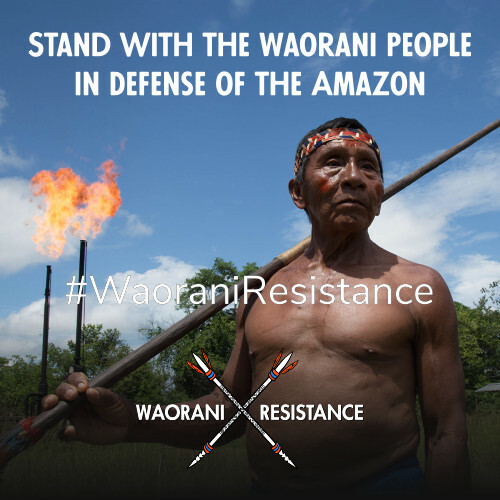 We are Waorani and we have always lived in the Amazon rainforest. Drilling for oil within our territory threatens everything that matters for our people. We do not recognize what the government calls Oil Block 22. Our forest homeland is not an oil block, it is our life. 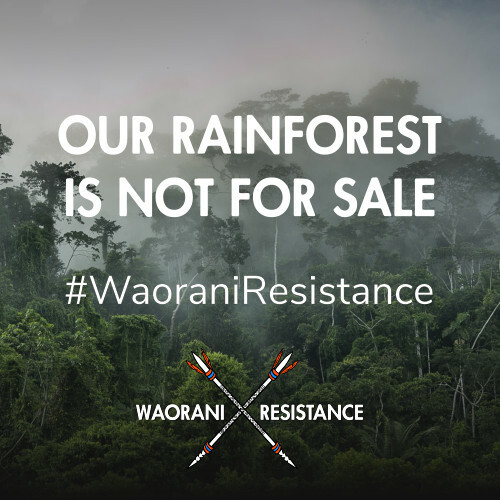 Our message to the Ecuadorian government: our land is not for sale! 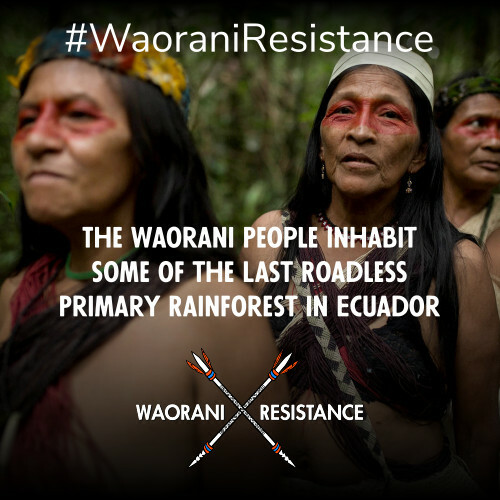 We are Waorani and we have always lived in the Amazon rainforest. For thousands of years we have defended our territory from trespassers. As a warning, our ancestors left crossed palm-wood spears on trails to give would-be invaders a chance to retreat. Our ancestor’s bones are buried under this earth. Deer, boar and jaguar still roam free across this land. Our memory, our language, and our songs are borne from the forest, and we will ensure that they live on, generation after generation. Drilling for oil fuels modern life in the cities, but drilling within our territory threatens everything that matters for our people. We have seen the destruction that oil drilling causes in the rainforest. We have heard neighboring indigenous peoples tell of their children poisoned by contaminated rivers, and seen their bounty of wild fish and game disappear, their language and culture fall to the brink of extinction, all in a single generation. Our territory gives us life. We will not allow oil-drilling to poison our creeks and our fishing holes. We will not allow lines of explosives to be placed in our hunting grounds for seismic testing. We will not allow the building of platforms or pipelines or roads. We do not recognize what the government calls Oil Block 22. Our forest homeland is not an oil block, it is our life. These are our words, our palm-wood spears crossed on the jungle trail, our message to the oil companies: Our land is not for sale. 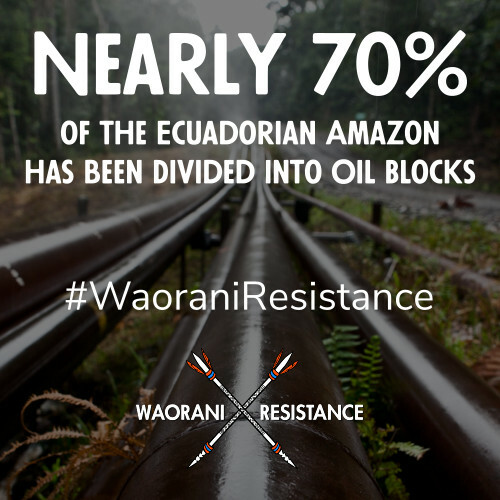 Thank you for supporting the #WaoraniResistance movement!